Do you have a question about filters or filtration? Perhaps you’re interested in a product or service that we offer? Feel free to contact us anytime during our normal business hours (Monday – Friday, 8:00 AM – 5:00 PM U.S. Eastern Time) and a friendly member of our team will be sure to help you out and answer all your questions! 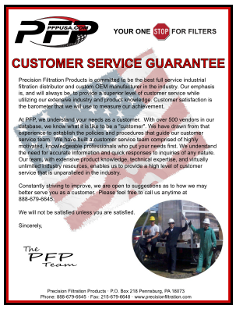 Click the link above to download our customer service guarantee (PDF). 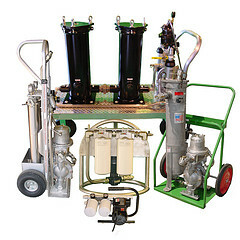 I’m looking for pricing for two (2) high volume sand filters for a project in the Middle East. The flow is 100,000 ACFM at 30 in-H2O at 130 Deg. 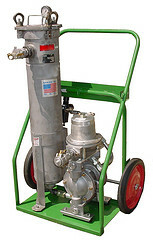 F with an Inlet Box Size of 32″ x 96″. Thanks for your inquiry. We’ll have someone on our team contact you ASAP to see if we can help you out. Thanks for your request. We think we’ll be able to help you find those filter cartridges, but we need to investigate a little more. We’ll have someone from our customer service team contact you directly by email with a few more technical questions in order to make sure we provide the most accurate quote possible. I have an inquiry to be send to your company . Kindly provide with your mail adresses . 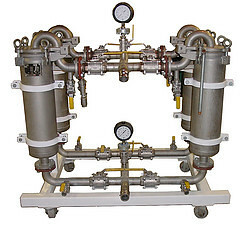 If you agree to these terms, please advise us in your initial email and we can then expedite the process of providing a formal quote for your filtration equipment.